Delacorte Books for Young Readers, 9780385733755, 272pp. SCOOTER KING UNDERSTANDS illusions. In the midst of the Roaring Twenties, he performs them behind the scenes at his mother’s séances, giving the impression that Madam King communicates with the dead. Scooter also admires Harry Houdini and can hardly wait to see the famed magician escape from his razzle-dazzle Burmese Torture Tank. But when Scooter stumbles upon a dead body in the visiting Houdini’s tank, it’s no illusion. Who could the murderer be? And did he—or she—kill the right person? 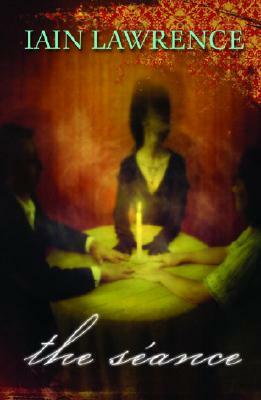 As Scooter sets out to unmask the killer, the mysterious worlds of mediums, séances, and magic are revealed. No one is above suspicion, and appearances are deceiving. If Scooter doesn’t sort out the clues—and fast—he may end up as the next dead body. Iain Lawrence is the author of numerous acclaimed novels for young people. He lives on Gabriola Island, British Columbia.